On your mark, get set… hunt! 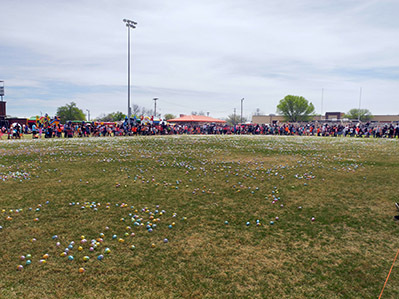 Above, hundreds of children charge into the grass at Morris Field Saturday morning to collect the thousands of vibrant, plastic eggs strewn about during Faith Baptist Church’s annual egg hunt. 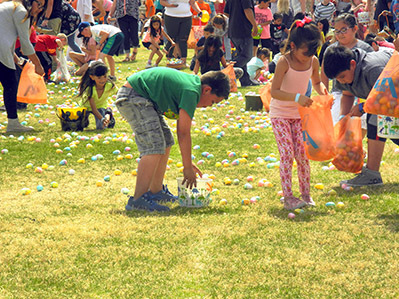 Below, local children stand at the ready Saturday at Morris Field, waiting for the signal to hit the field and begin filling their baskets with Easter eggs full of candy and toys. 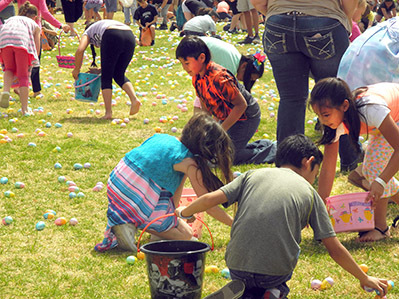 At bottom, children rush from one spot to the next grabbing as many eggs as they can.